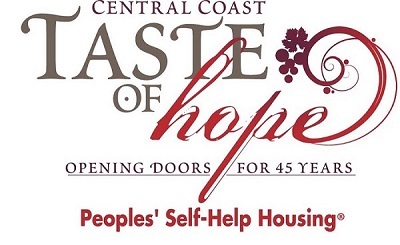 Santa Barbara County, June 15, 2015 – Having provided affordable housing on the Central Coast since 1970, local nonprofit Peoples’ Self-Help Housing will host its 45th Anniversary and Taste of Hope Celebration Friday, Nov. 13 at the Santa Barbara Historical Museum. The evening celebration at the museum’s outdoor courtyard will bring together an expected 200 guests, including area employers of all sizes, housing providers, developers, business and government leaders, non-profit leaders, architects, real estate professionals, and financial institution representatives. Call Rochelle Rose at 699-7227 or Monica Scholl at (805) 699-7220 or email rocheller@pshhc.org for more information or for donation pick up if needed. Ticket information will be available soon. For more, visit pshhc.org.